“Lightning!” That’s the literal translation from French I got when I put éclair into google translate. I’ve read a couple of explanations for this name, but only one makes any sense to me. “They disappear in a flash, quicker than a bolt of lightning.” This is the absolute truth. Eclairs are a formula for deliciousness…Starting with delicate pâte à choux (which has a rather indelicate translation of “paste of cabbage.” Representative of the cabbage shape, when piped into a profiterole (cream puff) and baked, not at all indicative of its lovely, buttery, rich flavor and light texture). The choux is piped into the shape of a small log. Once baked and cooled the log is filled with Crème pâtissière, “pastry cream,” which is simply custard that is thickened with both eggs and a starch, usually corn starch and flavored in this case with vanilla and white chocolate. The custard filled pastry is traditionally decorated with fondant, the shiny poured variety, not the rolled one we use for cakes. I find poured fondant, which translates as “melting,” (probably because it melts in your mouth or melts away your teeth with its sugary cloying-ness), much too sweet, so I use ganache. Ganache is a smooth mixture of chocolate and something else (cream, butter, coffee, water, booze, crème fraîche and/or anything else you can think of). There is no translation for ganache, but it stems from the word “jowl,” which I can’t even begin to ponder. I hope you all know that despite my very French name, Zoë François, meaning “Life Frenchman,” I don’t speak the language at all and therefore I will most likely be corrected by my French-speaking readers. Please, correct me if I’m wrong. Despite the odd names of all these things, they are quite sensational and will be consumed at lightning speed. You can watch me make these eclairs in my instagram stories/highlights. This recipe was inspired by the French-speaking and terrific baker Dorie Greenspan, whose book Around My French Table is a staple in my house, along with every other book she’s ever written. Line two baking sheets with parchment or Non-Stick Silicone . Stir with a wooden spoon over low heat. 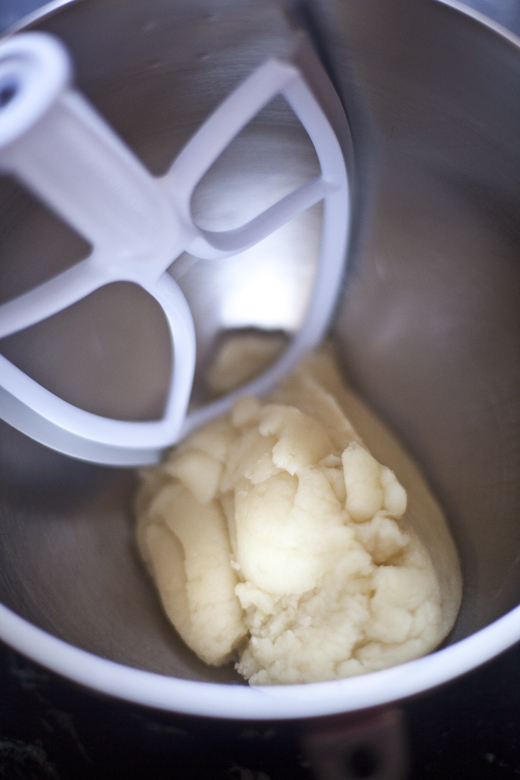 The dough will come together as a smooth ball and the bottom will have a skim of dough stuck to it. 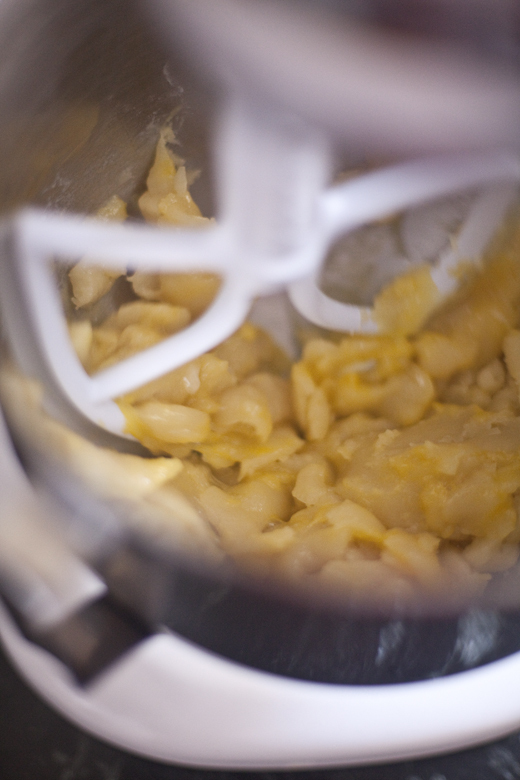 Remove dough from the pot and place in bowl of stand mixer, fitted with paddle attachment. I love these beaterblade paddles with the rubber sides, so you don’t have to scrape down the bowl. If you don’t have one, then scrape down the bowl after each egg. Fit a Decorating Bag with a large round tip and pipe the dough into 2 1/2-inch logs. If there are points sticking up on the ends just wet your finger and smooth them out. Place the sheets into the oven and bake for about 10 minutes (20+ if baking profiteroles that are about the size of a quarter), until they are puffy, but have little color. 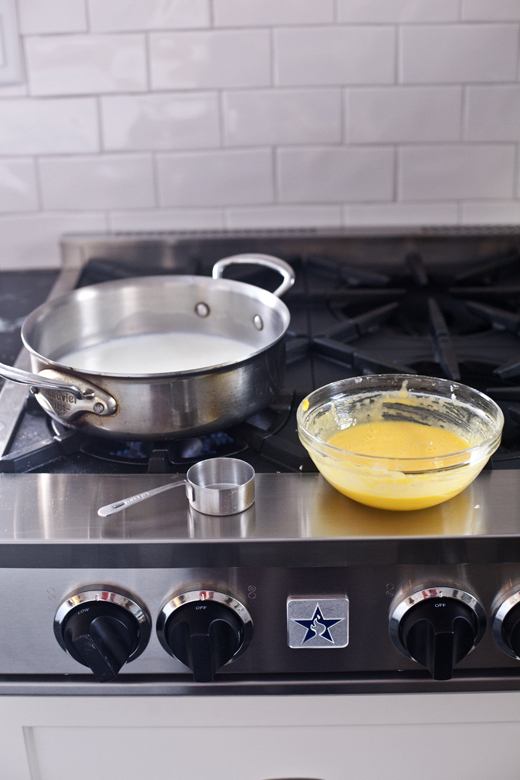 If baking two trays at once, quickly rotate the trays from top to bottom and back to front. They may deflate a touch, but don’t worry, they will puff again as they continue to bake. Bake for an additional 7 to 10 minutes or just until they start to turn golden-brown. Open one of them and make sure it is not too wet inside. If so, continue to bake. 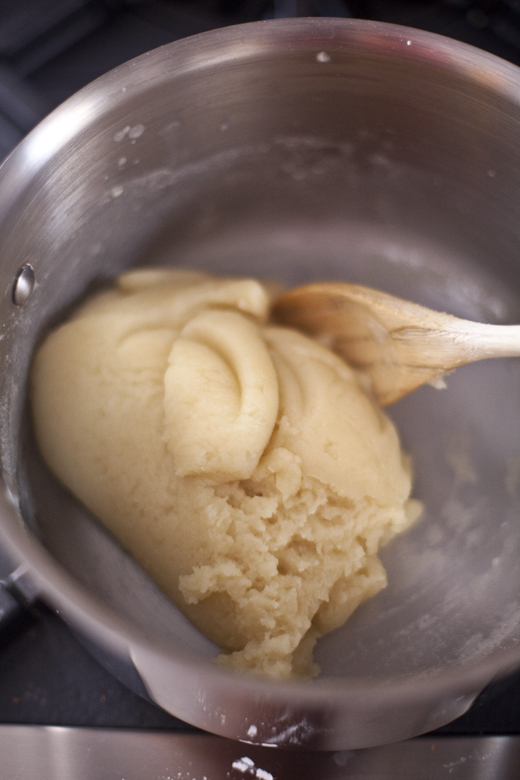 Once they are no longer wet, prop the door open with a wooden spoon and continue to bake for about 5 more minutes. Remove from oven and allow to cool completely before filling. They can be made ahead and frozen for up to a couple of weeks. 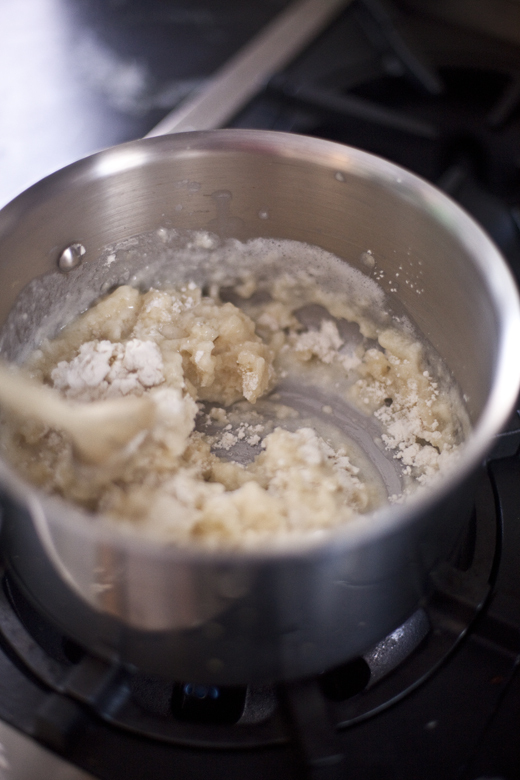 In a pan, heat the milk and 1/4 cup sugar over medium heat until simmering. 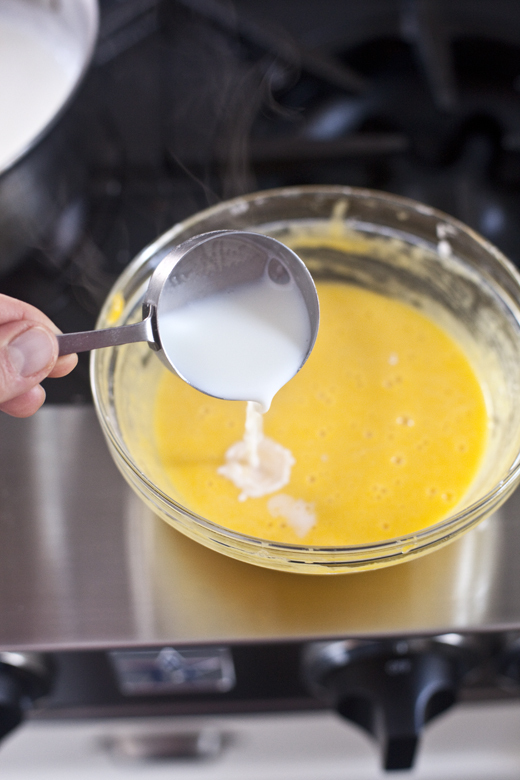 In a bowl combine the yolks, remaining sugar, cornstarch and salt. 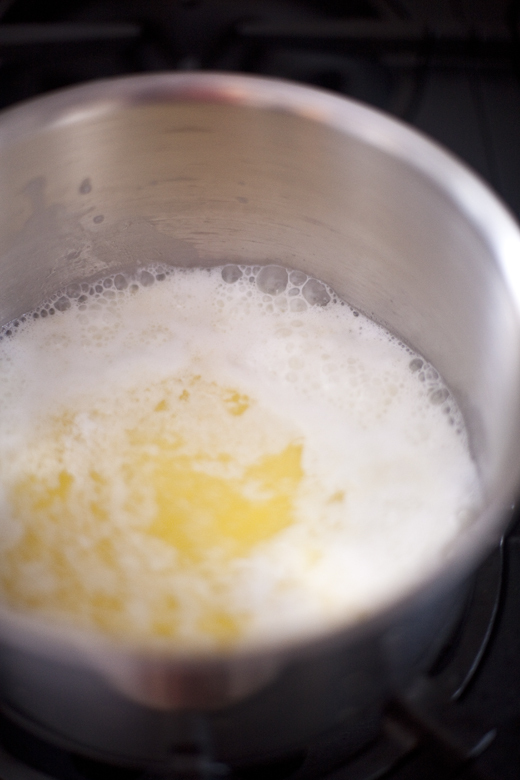 Once the milk has come to a simmer, ladle a small amount out and whisk it into the egg mixture to warm it up. This is called tempering and it prevents the eggs from cooking too quickly. 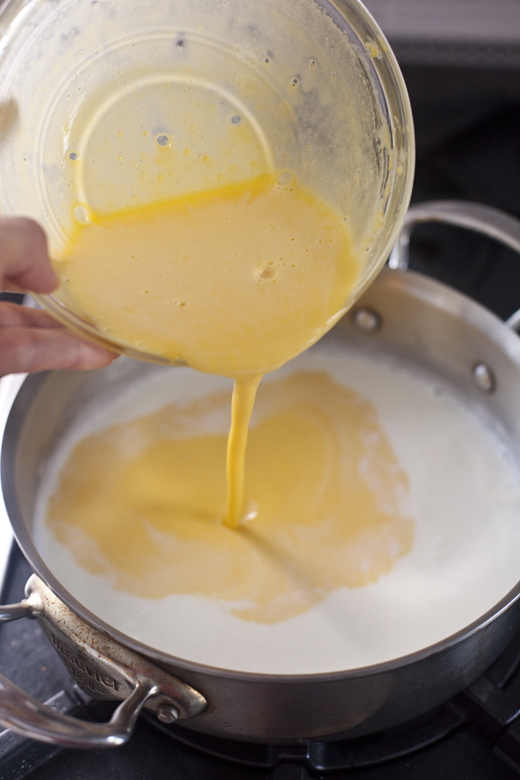 Once the egg mixture is warm to the touch, whisk it into the pot of milk. 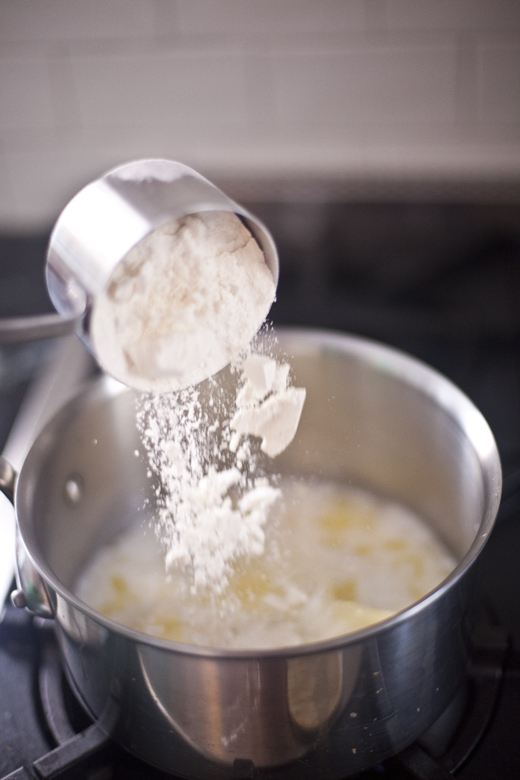 Cook over medium heat until it comes to a boil, whisk it vigorously for about 3 minutes so that you are sure to cook the cornstarch. 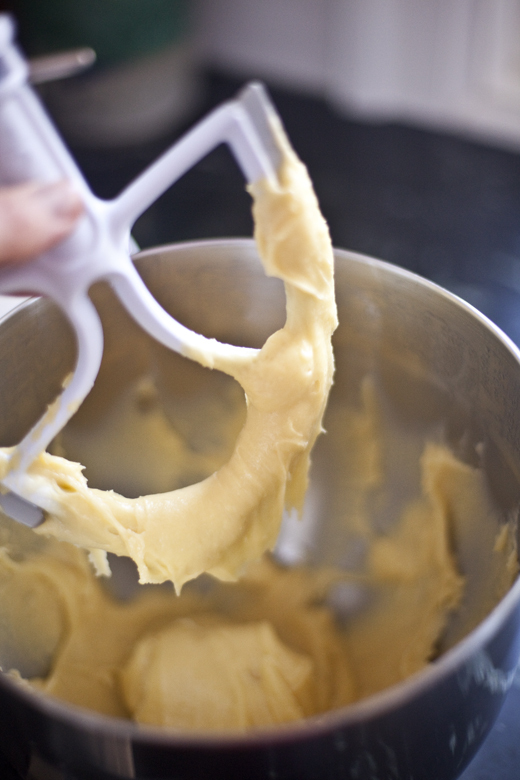 Whisk in the vanilla, rum and butter until it is smooth. 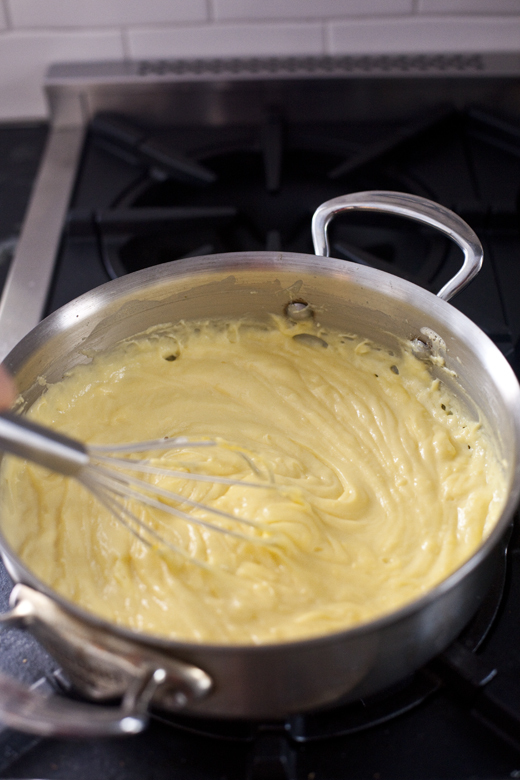 Place in a large bowl and immediately whisk in the chopped white chocolate. 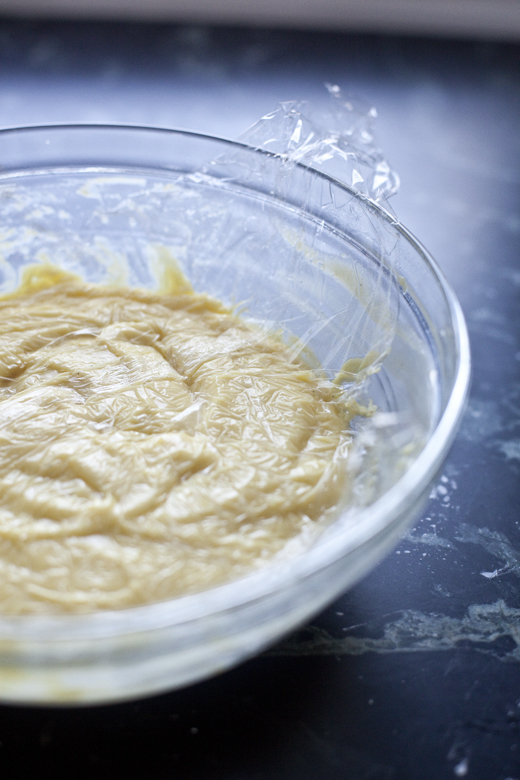 Press plastic wrap directly onto the surface of the pastry cream to prevent a skin from forming. Refrigerate until well chilled. 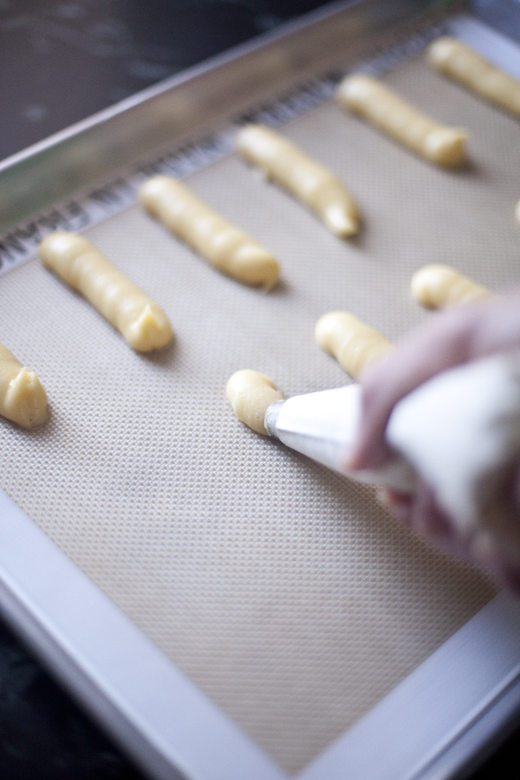 Once you are ready to assemble the éclairs cut the pastry open along the sides with a sharp knife. Gently stir the pastry cream and pipe it into the pastry shells. Refrigerate for at least one hour. Heat the cream to a simmer. 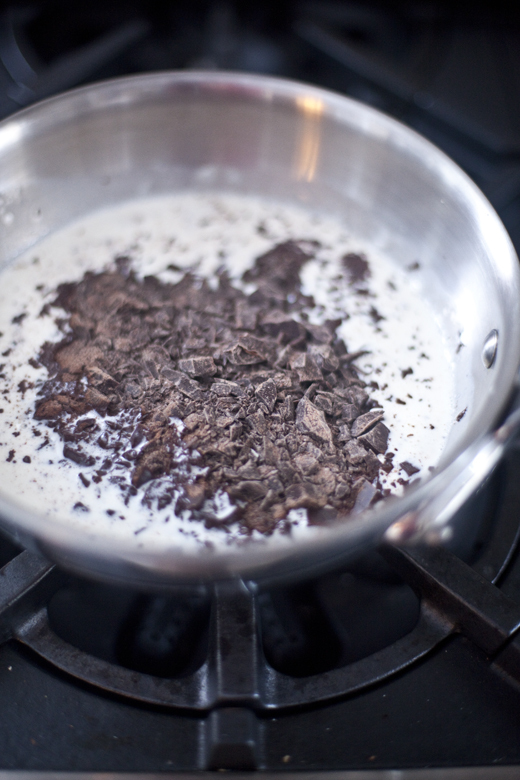 Add the chocolate, swirl the pan to cover the chocolate with the cream and allow to sit for 2 minutes. 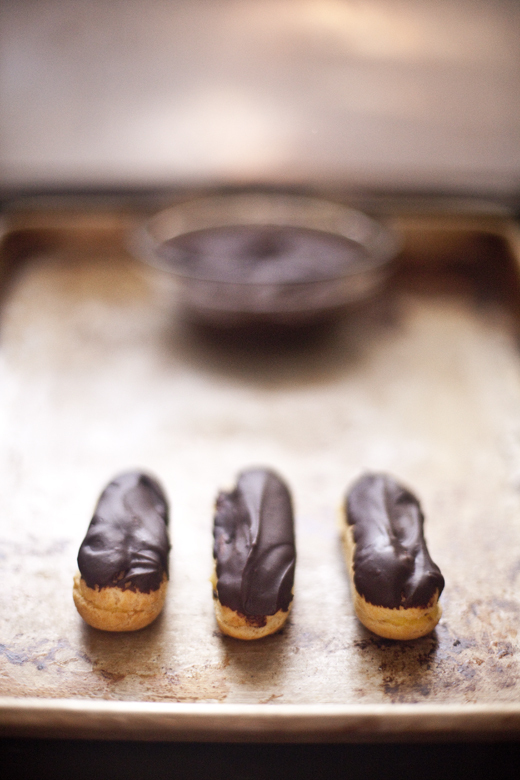 Dip the chilled eclairs into the ganache. Refrigerate until ready to serve (up to 8 hours) and then watch them disappear like….lightning! You have got to check out the Choux Puffs with Pastry Cream from Jamie Schler at Life’s a Feast. She is an exquiste writer and baker, living a most enviable life in France (she is also much too kind to tell me I got all the French wrong in this post). Her pastry puffs are so light and delicate, they may just float away. pâte à choux… paste of cabbage, well you know it is because once baked they look like little cabbages! But did you know that “mon petit chou” (my little cabbage) is a wonderful term of love and endearment? Which makes up for the indelicate cabbage. I adore these.. and yes they disappear like lightening. My son begs me to make them for him and I do not often enough. But I did just make them round, filled with pastry cream (no glaze or ganache) to bring to friends’ house for dinner (well, dessert). In fact, I am posting them on my blog tomorrow! Now I have to make them as éclairs AND with ganache (which I agree is so much better than overly sweet glaze or fondant). Lovely as always. Great to get the new posting. it was good to hear from you. 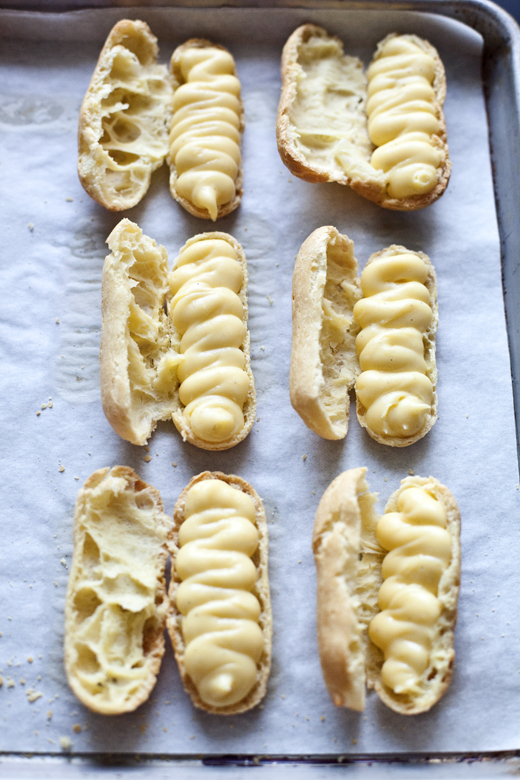 I have made cream puffs quite often but have never tried to make eclairs. Now I’ll have to give them a try. Thank you Roo! If you made cream puffs these will be a snap for you. Just gorgeous, Zoe! These would be such a treat! Wow! I was just thinking about you (and pavlovas) when the mail popped up with the link to your eclairs. Serious. I have loved them since I was a child — they were always a special treat (I suspect when Mom got a hankering for them). Thanks for stopping by, I’ve missed it here! 🙂 Are you loving the new kitchen? I love eclairs and cream puffs! I’ve also grown to love gougeres! In any case, I think I am the only one who looks for cream puffs that have caramel on top. I just can’t make it all the time… or I’ll puff! I’m so glad you are back! I bought your new book and look forward to the next one. I too love eclairs and posted about some strawberry ones that I made for valentine’s day (http://www.44dinner.com/2013/02/14/strawberry-eclairs-for-valentines-day/). I’m looking for a new pastry cream, mine are either too runny or too firm. I’ll look forward to trying this one. Thanks! I am so glad you posted. I thought you may have given up on your blog. I love these eclairs. What size piping bag and tip are you using? I thaught you would like to descover what éclairs became over here (In Belgium & France) if you ever co to Paris, just go right away to “l’éclair de génie” !!!! And if you ever come to Belgium, go find a delicious Boulangerie patisserie and taste caramel, salted butter éclairs ! Have a nice and yummy day ! I will try these “lightenings” asap!!! Oh I would love to make these on a weekend. Éclairs are such a treat! And yours look perfect. Thank you for sharing this recipe. Do you find that splitting the pastry along the side it better than piping the cream in from one end until the pastry puffs up signifying it is full? I am just thinking about the ‘messy factor’? Also, you have beautiful pictures on your posts. Nice! I just discovered your blog, which is great by the way! Love the new kitchen, I find it very elegant! I was going to suggest you the “Éclair de génie” chef, who is Christophe Adam, for a long time he’s been working on these little treats to become what the macaron was once in France, a total success! I’m sure you know him but if you don’t, he just wrote a terrific book with éclairs that might be a challenge even for the most skilled baker! I agree with one person here that commented that éclairs must be shiny, and I wonder if Dorie suggested opening them all along? I think its preferable to make little holes and garnish them. Otherwise when you eat them it totally spills over! Anyway, I’m glad I find you, I’ll keep reading all the great posts you have written! If you make them any larger than mine, you will want to cut a hole to put the custard in so it doesn’t squish out the sides. I hope you and your nephews enjoy them! 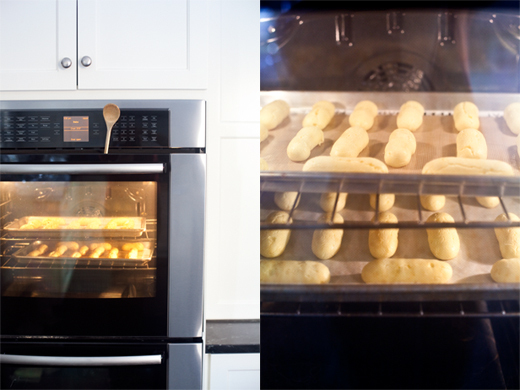 Hi Zoe, I made profiteroles and cream puffs last summer and I’ve been thinking about tackling eclairs for fun. Seeing this might be a sign. 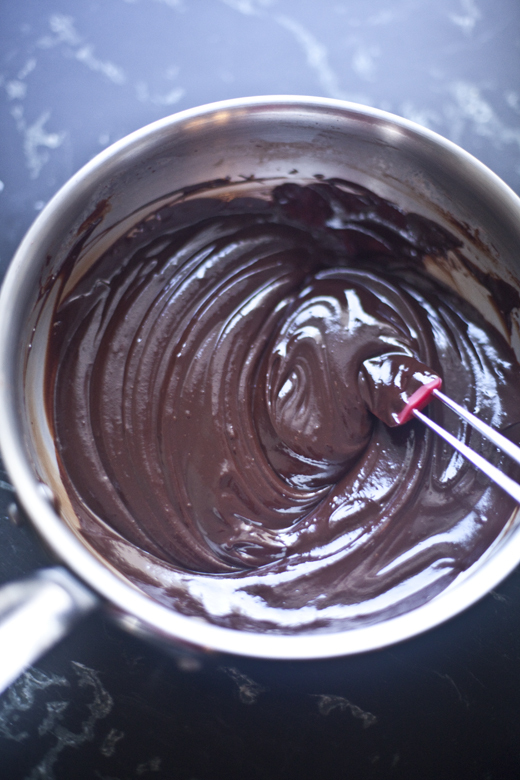 I would like to make a dark chocolate pastry cream…could I sub the white chocolate equally with dark in your recipe? Thank you! Needless to say, your eclairs look beautiful (almost as good as your new kitchen!). Yes, you can sub dark chocolate for the white. 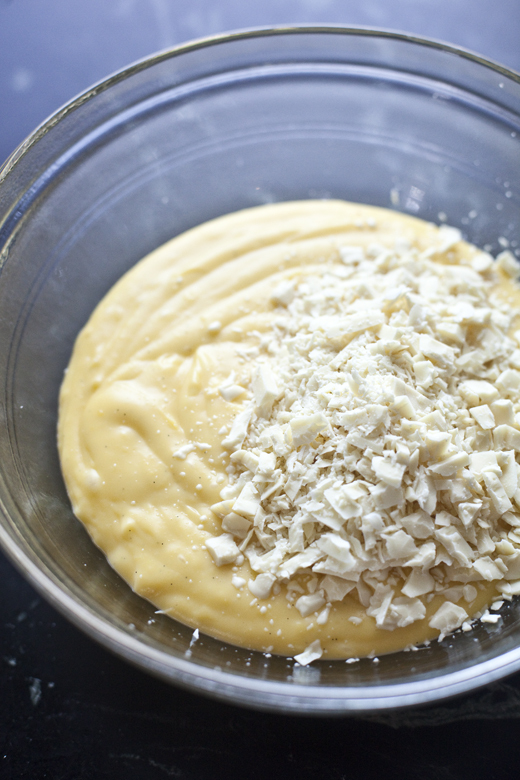 It may be a little stiffer than the white chocolate version, so you can use less chocolate or use a slightly less corn starch to create a softer custard. 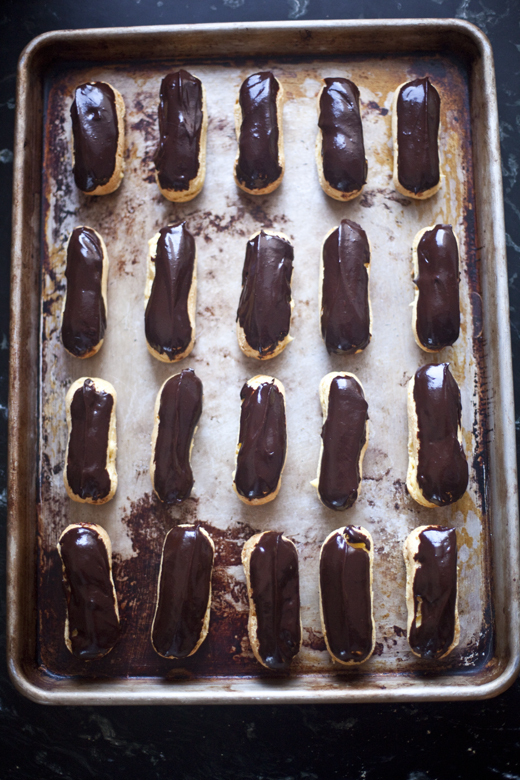 I haven’t made eclairs since pastry school — these little beauties are inspiring me to try them again! So gorgeous! I always forget how awesome they are! These pictures made the process seem so much less intimidating! So glad I took a risk and made these! I put them out for the Super Bowl and they were gone before the end of the game! Thank you! 🙂 So Good! Yay, thanks for trying the recipe Denise! Why can’t I “pin” this recipe to Pinterest? 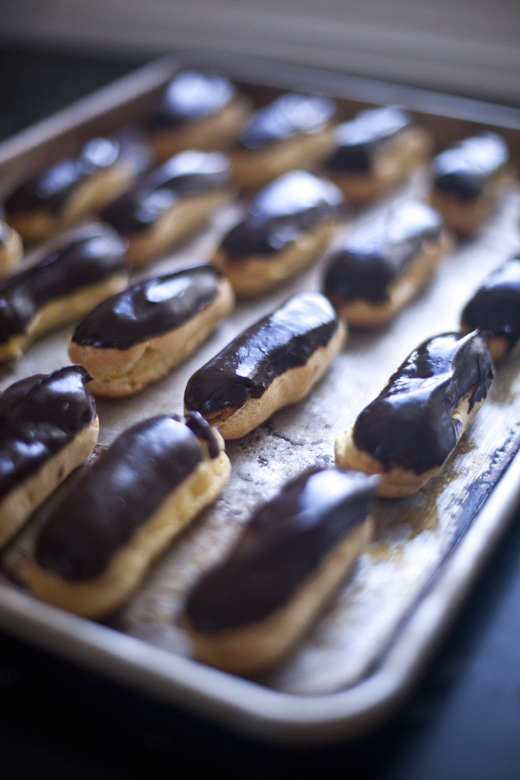 I’ve always wanted to make eclaires, but for so long, I’ve been intimidated by the thought of trying it. I think I will need to try your recipe – you really break it down to something that sounds super easy to follow. I will let you know how my adventure goes! Did the dough puff in the oven at all or did it never rise up? Same with mine. Flat, soggy in the middle and no color! Ugh. omg they turned out perfect. gone in seconds. they were light and airy. chocolate was a little too bitter in my taste but thats just because im fifteen. I’ve made the pastry as is and they were perfect! But I have to make a huge batch and I was wondering if this could be doubled? Yes, this can be doubled! Would it be okay if I didn’t add the white chocolate to the pastry cream? Hi Jillian. I’ve made these and only added rum to the pastry cream and omitted the white chocolate and it tasted delicious. Great recipe. Halved the recipe and made about 14 eclairs and 4 profiteroles. We had to eat them all as they were too delicious. Worked well so thanks. 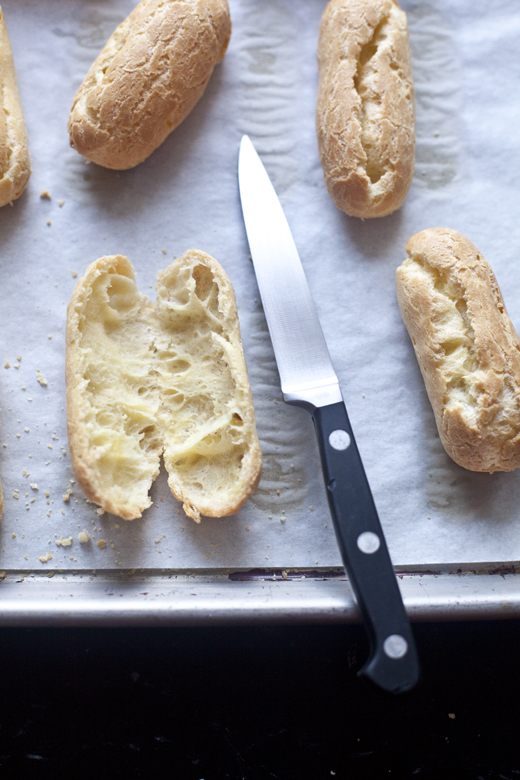 Hi, I recently used this recipe to make eclairs for a party and they turned out fantastic. Gone within minutes! They were that good. Thank you so much for the step by step pics…it helps a lot.